Early this month Foursquare announced the revamped Foursquare for Business pages, complete with tools for merchants, venues and brands. We have been very excited about this development and thought it was about time to share the news with you guys. 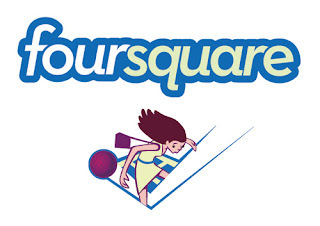 Now you have had time to digest the concept of Foursquare, back to the New Business Pages. The objective of the pages is to help businesses owners attract new customers and maintain brand loyalty. There are two types of brand pages those for brands which have a physical location and those that are not tied to a physical location such as university, manufacturer. Currently Foursquare are making the brand pages manually at the request of partners, so if interested they invite you to download a form. News in the self service tool will be available to all very soon. The New York Times guided their foursquare followers to the best spots to visit while in Vancouver for the 2010 Winter Olympics. Windows Live Photo Gallery helped their followers locate the best spots in their cities to take photos. Havaianas directed their followers to the best local spots to watch World Cup games, where they shared soccer trivia and gave away free flip-flops. TravelOK.com helps their users unlock Oklahoma’s best-kept secrets, find discounts and discover hidden attractions throughout the state. We (Flashlight Team) are increasingly being invited to create geo targeted campaigns for our clients. If you are interested in Geo location services or after viewing the above links perhaps you simply want to find out more about Foursquare and how it applies to your business then please get in touch with Rocktime Sales.